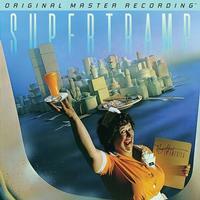 Numbered, limited edition Hybrid Stereo SACD of Supertramp's classic album! Blockbuster features "The Logical Song," "Take the Long Way Home"
Supertramp's Breakfast in America has it all: Illustrious artwork. Sing-a-long hooks. Contagious melodies. Symphonic bluster. Rhapsodic thrust. Signature Wurlitzer electric piano sounds. Two Grammy Awards, including one for Best Engineered Album. More than 20 million copies sold. Four Billboard hit singles that continue to dominate radio airplay today. Every aspect of the chart-topping art-rock set screams blockbuster, not the least of which is the production, the result of painstaking studio setups and months of mixing. Now, you can experience the sonic brilliance in unprecedented clarity on Mobile Fidelity's definitive-sounding SACD reissue. Mastered from the original master tapes, this numbered edition Hybrid SACD wrings out the record's dynamics, colors, and tones in all their full-range glory. Absent artificial ceilings, Breakfast in America unfolds with an expansiveness and radiance that parallels the vibrancy of its iconic New York-themed cover. Crucial traits such as imaging, separation, balance, transients, and openness achieve near-epic levels of realism and presence. Songs unfold and breathe on mammoth soundstages that put the effort's legendary production — and stellar playing — into proper perspective. The 1979 set has been reissued multiple times in the past, but it's never sounded so engaging, lifelike, or entertaining.